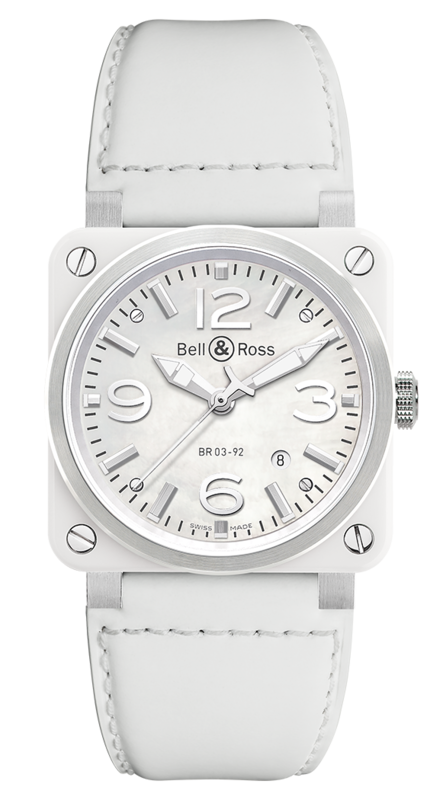 Case: satin-brushed steel covered with a white ceramic plate 42 mm diameter. Steel bezel. White mother of pearl dial. Appliqué index covered with a photo-luminescent coating. White calfskin and heavy-duty synthetic fabric straps.